The manufacturer of food and drink products is Ireland’s most important indigenous industry with a turnover of €27.5 billion, exports of €10bn and 230,000 jobs. It is deeply integrated into the wider economy spending €18 billion per year on intermediate consumption in other sectors plus a further €2.1 billion on compensation of employees. Research by the Department of Agriculture, Food and the Marine, estimates that the agri-food sector contributes almost 40% of net foreign earnings from 19% of exports. The sector supplies much of the country’s €14bn domestic grocery sector, is the largest net exporter of dairy ingredients, beef and lamb in Europe and the UK’s largest supplier of food and drink. As with any manufacturer, where employees work around automated machinery, chemicals and electrical devices, employers must protect their workforce from the risks. 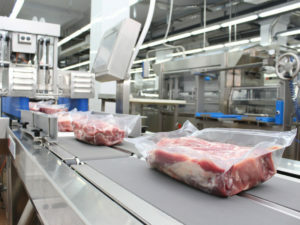 Employees in this industry are exposed to a wide range of hazards which include: slips and falls often caused by slippery conditions, collision with internal transport such as forklifts, lifting, repetitive work and work posture injuries, exposure to noise, exposure to biological and microbiological agents from ingredients used during processing, exposure to chemical hazards which may include cleaning operations and disinfection of process areas and exposure to heat and cold conditions from activities such as heat treatment due to pasteurization and canning processes as well as chilling and freezing. Breeches in legislation can lead to punitive fines, potential personal lawsuits from injured employees, not to mention the damage to a company’s reputation. Chris Mee Group was founded in 1996 in Ireland as a specialist health and safety consultancy firm and has being working with food and drink clients since to reduce the risk of workplace accident or injury occurring. 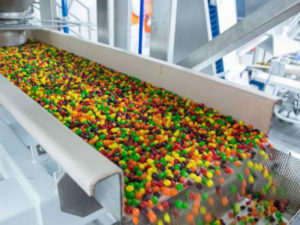 Chris Mee Group provides health and safety support in areas such as working with machinery and exposure to hazardous substances which are some of the main causes of fatalities, major, and minor injuries within the food and drink manufacturing industry. Chris Mee Group also work with food and drink clients to implement realistic health and safety checks to improve compliance and ensure procedures are being properly adopted and practically executed by the workforce. 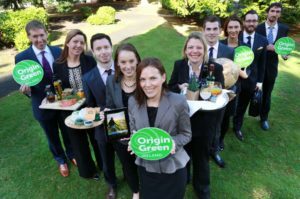 Since Origin Green was established in 2012 more than 122 food and drink companies, responsible for 85% of the country’s food and drink exports have become fully-verified members of the programme. 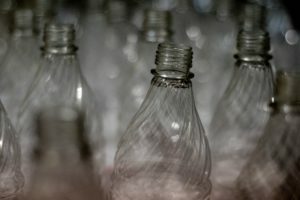 As part of the programme, food and drink manufacturers have committed to over 800 sustainability targets around raw material sourcing, manufacturing processes and social sustainability. Chris Mee Group is a leading provider of environmental and energy consultancy for a wide range of food and drink manufacturing clients. Services include Climate Change and Carbon Emissions, EU ETS, Waste Management, IPC IED Licensing and EMAS & ISO 14001 Environmental Management. As always everyone was very professional with the Chris Mee Group.